Pension Ivatan Restaurant is famous for its specialty dish called Ivatan Platter. 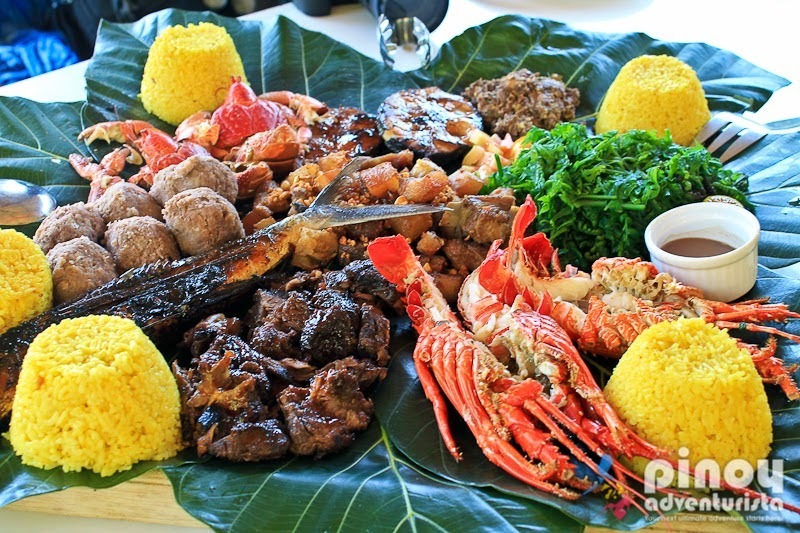 Served in breadfruit leaves, it is an array of different Ivatan cuisines such as Payi or Lobsters, Uvud balls, Tatus or Coconut Crabs, Grilled Tuna, Luñis, Vunes, Fern Salad, Grilled dibang or flying fish, Inihaw na Tadyang ng Baka and Turmeric (yellow ginger) rice. The platter which costs 1,550 pesos is quite a big serving, I think it's good for about 6-8 persons.